I was diagnosed with Type 1 diabetes at 15 years old. I have visited several countries and realized that there are many people with diabetes who cannot obtain insulin and live tragic lives. They are struggling to survive and I leant how fortu-nate I am by comparison. 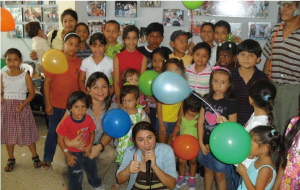 I become involved with these issues and learnt about the activities of the organiza-tions such as Insulin for Life and Dream Trust. I decided to establish the IDAFJ in 2001. I want to help inform people in Japan and around the world about these issues and encourage them to become involved also. 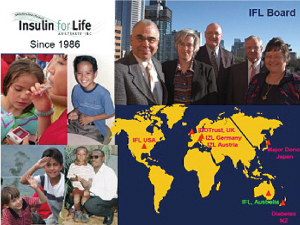 IFL Australia and Global is an NGO established 1999 and registered in Victoria, Australia. It collects donated unopened, no longer needed and in-date insulin and test strips and other supplies. These are then donated overseas to many countries, following specific requests from recognized organizations and with an agreed protocol. IDAFJ supports IFL financially. 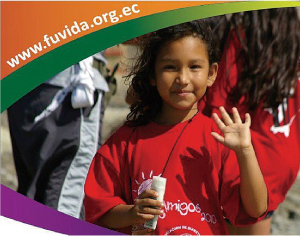 FUDIVA in Ecuador aims to save the lives and educate children with diabetes and their families and publicise problems that people with diabetes face. 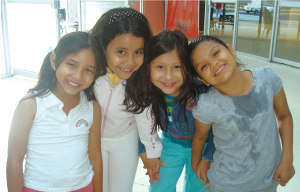 IDAFJ helps support its summer camps. Dream Trust supports people with T1 diabetes in India. 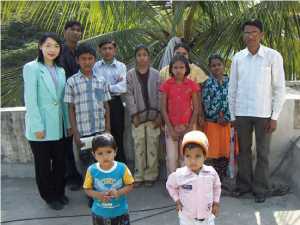 Some members of Dream Trust are sponsored by IDAFJ. The Goals of the International Diabetes Aid Fund Japan. Assist people with diabetes in countries in need who cannot afford insulin and other diabetes supplies. This is done by supporting Insulin for Life (www.insulinforlife.org) which sends donated supplies overseas, following specifc requests from recognised organisations and with an agreed protocol and Dream Trust which supports Type1 diabetics in India.